Enfold WordPress Theme is a new product intended to create beautiful websites within a fraction of the time that would normally be required. Thanks to its user-friendly nature, it is not necessary to possess a great deal of prior experience with WordPress programming. It offers numerous variations and excellent levels of customer support when requiredt. There are currently well over 100 unique WordPress themes to select. A user-friendly layout will optimize the editing and conversion processes. Users will first have to posses an active WordPress account. There is no free trial version of this software available. Enfold WordPress Theme offers a wide variety of templates that will take the guesswork out of coding and creating truly original website content. Each of these are known as 'demos' and they can be embedded within a WordPress page in only seconds thanks to a convenient copy-and-paste function. No knowledge of coding is required and these themes can be previewed in detail. Some other features associated with this bundle include streamlined loader animations and better SEO recognition; both important in terms of enjoying higher levels of online exposure. 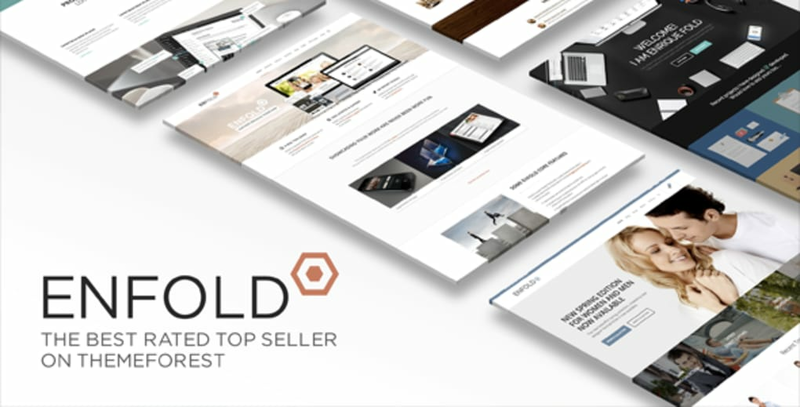 It should also be mentioned that Enfold WordPress Theme offers more than 100 unique templates and this number is continuing to grow on a regular basis. It is ideal suited for frontend editors while live previews illustrate how certain elemental changes may affect the overall layout. Developers claim that many bug fixes have taken place in recent times. What do you think about Enfold? Do you recommend it? Why?